From a renowned Japanese hybridizer, Paph. 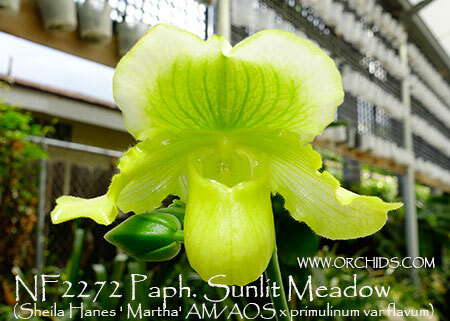 Sunlit Meadow is a re-make of the very successful Stewart Orchids hybrid ! 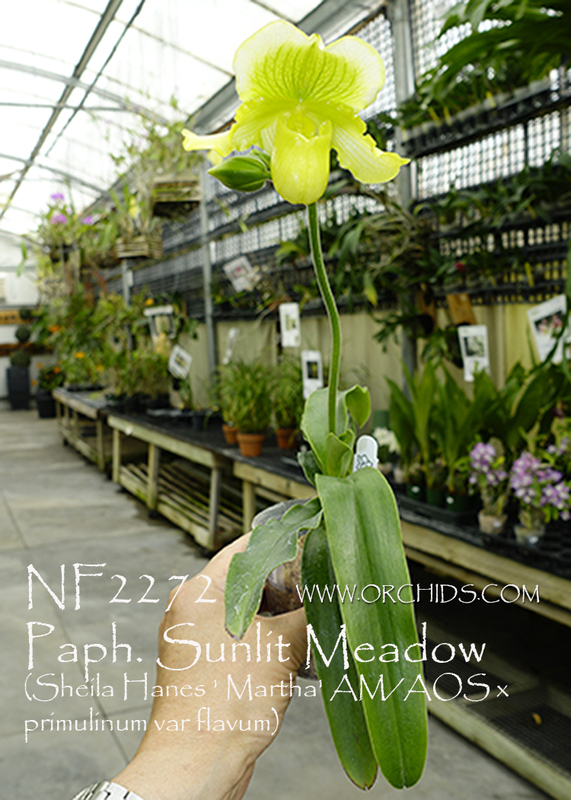 This re-make has crossed an ever-blooming complex green with the flavum form of the ever-blooming Paph. primulinum ! Its upright inflorescence is held well above the foliage, producing 2-3 shapely 5” waxy flowers per spike, with a tendency to bloom up to twice a year. A great heat-tolerant hybrid, this new complex is ideal for those who live in areas where it’s usually too warm to grow a complex Paph. Highly Recommended ! Note : warm tolerant , multi-floral .